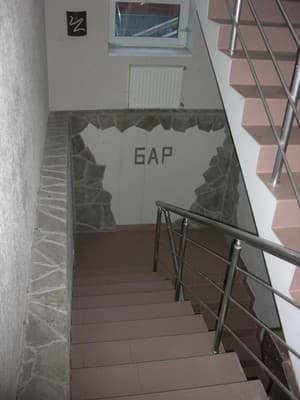 Hotel "Vitex" is located in the center of Alushta, 500 meters from the sea along a flat, shady road along the "Spartak" complex. Hotel Vitex offers accommodation for 2, 3-bed rooms with private facilities (shower, toilet, washbasin, refrigerator, TV, balcony.) In the cafe on site, you can order food. Near the hotel there is a market, shops, a pharmacy, a cafe, a bank and a park area for recreation. The hotel has a cozy patio, all in flowers and greenery. In the courtyard is a summer playground. Near the hotel there is a paid parking lot for a hundred cars. Free Wi-Fi is available. 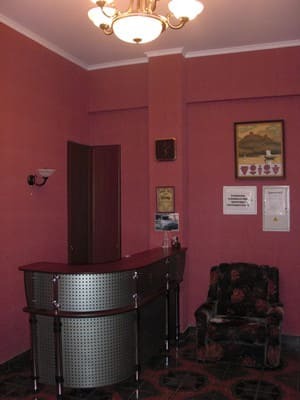 Description of the room: Number of the total area - 18 sq.m. 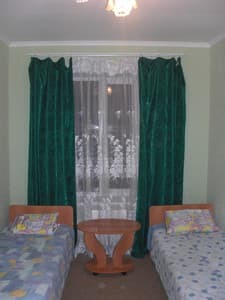 In a double room there are 2 single beds, a table and a tea set, a bathroom. Description of the room: Number of the total area - 22 sq.m. 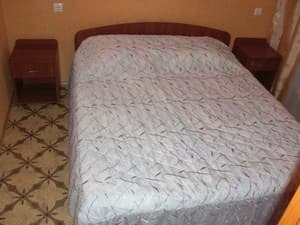 In a triple room there are 3 single beds, table and tea sets, a bathroom (the number of towels is 2 per person). Balcony (table, chairs) with a view of the sea or the mountains. Description of the room: One-room junior suite, total area - 35-45 sq.m. The room has a double bed, a sofa, a table and a tea set, a bathroom. Balcony (table, chairs) with a view of the sea or the mountains. 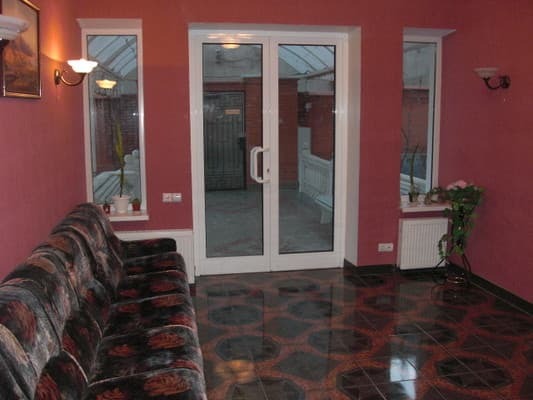 Description of the room: Two-room suite with a total area of ​​25-33 sq.m. can accommodate 2-3 people. 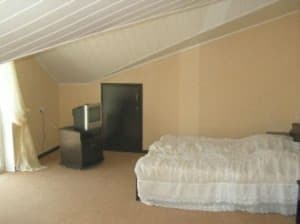 The room has a bedroom (double bed), a living room (sofa, table and tea sets), a bathroom, 2 balconies (table, chairs) with a view to the sea. Description of the room: Number of the total area - 18 sq.m. 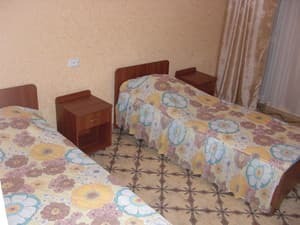 The room has 2 single beds, dining and tea sets, a bathroom (the number of towels is 2 per person), a balcony (table, chairs) with a view of the sea or the mountains. 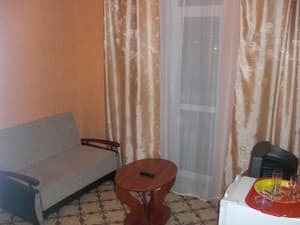 Description of the room: Two-room suite with a total area of ​​40 sq.m. can accommodate 4 people. The room has a bedroom (double bed), living room (sofa, table and tea sets), bathroom, balcony (table, chairs). Чисто, уютно, недорого, приятный ненавязчивый персонал, недалеко от моря и центра, рядом недорогая столовая. Непонятки с горячей водой, то есть то нет, то непонятно как бежит. Индивидуальные кондиционеры в номере, со всеми вытекающими, как включаешь, ночью приходят соседи - типа шумит мешает спать, просят выключить. Полотенца и белье меняют только раз в неделю, что не есть гуд. Мыло вроде как бесплатно, но надо напоминать персоналу о том что оно тебе необходимо, сами не почешутся. В целом неплохо если решат проблемы с горячей водой и кондиционированием. При гостинице есть кафе,очень удобно. 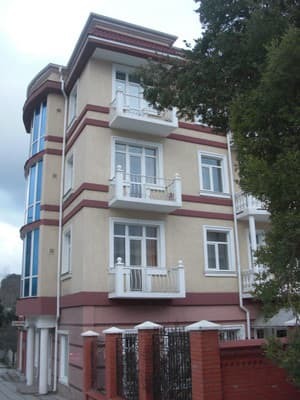 In the center of Alushta, 500 meters from the sea. Nearby there is a market, shops, a pharmacy, a cafe, a bank and a park area for recreation. Simferopol Airport is 47 km away. From the railway station of Simferopol can be by bus or minibus to the bus station of Alushta, and then - on foot or by taxi.